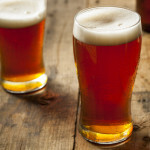 talkhealth > Blog > 2015/05 > Is Binge Drinking Really That Bad? What the UK Government defines as binge drinking might come as a shock to some. Binge drinking is defined as the intake of twice the recommended daily alcohol limit. For men that means eight units, the equivalent of four pints of lower-strength beer and for women it’s six units, the equivalent of two large glasses of wine. Dr Chris Van Tulleken and his twin brother, Dr Alexander van Tulleken have finally attempted to provide some evidence on the much debated topic. In a BBC Horizon programme about alcohol, airing tonight at 9pm, the brothers consume exactly the same amount of alcohol each week, but in different ways. Both consumed low end government guidelines for men which amounts to 21 units per week or three per day. One brother drank his daily limit of three units and the other would drink the entire week’s alcohol limit in one go on a Saturday night. Read a first hand account of the study, to find out what effect it had on the brothers and discover the somewhat surprising truth behind the impact of alcohol on our bodies. Or watch the show! We’ll be watching and commenting on Twitter so follow us on Twitter @talkhealth and if you’ve got something to say get involved with the conversation! Horizon: Is Binge Drinking Really That Bad? BBC2, 9pm, Wednesday.